The Museum Village, an open air museum, located in Niedersulz attracts a lot of attention. The beautiful thermo spruce ceiling and facade provides a natural and premium feeling. The new museum construction harmonizes with the existing building complex and combines old and new, just like the museum itself. 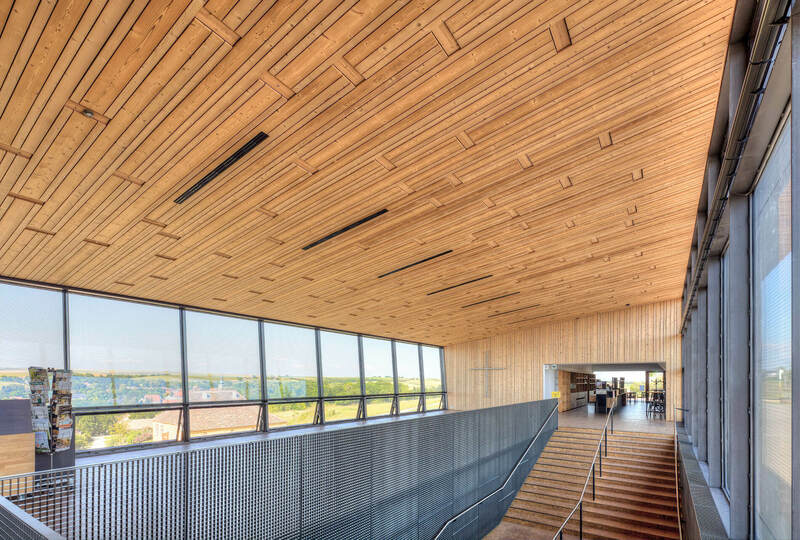 The thermal modification of wood eliminates the risk of harmful emissions such as formaldehydes, making the wood pure, safe and hygienic material for public spaces.